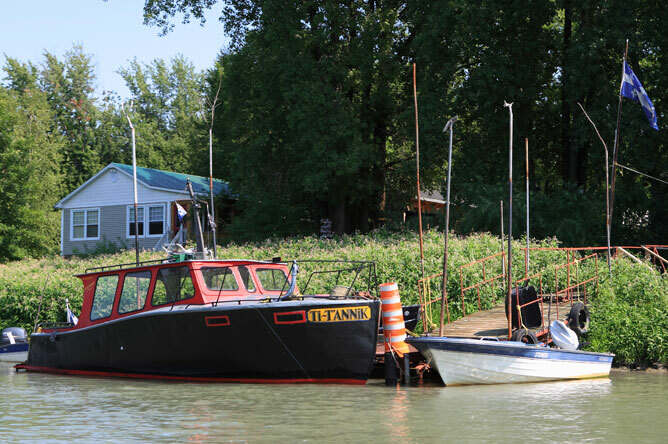 Twenty years earlier, boating enthusiasts could still go to the shipyards in Sorel and pick up cheap lifeboats from decommissioned cargo ships. Skilled craftsmen would transform the boats into small floating palaces, with wooden cabins painted white, two portholes on each side like a pair of innocent eyes and two frames placed in front of the cabin to make a windshield. 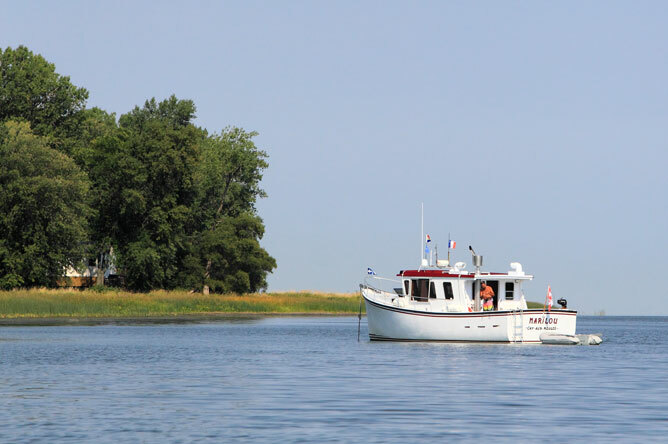 People come from near and far to sail the Lake Saint-Pierre archipelago. 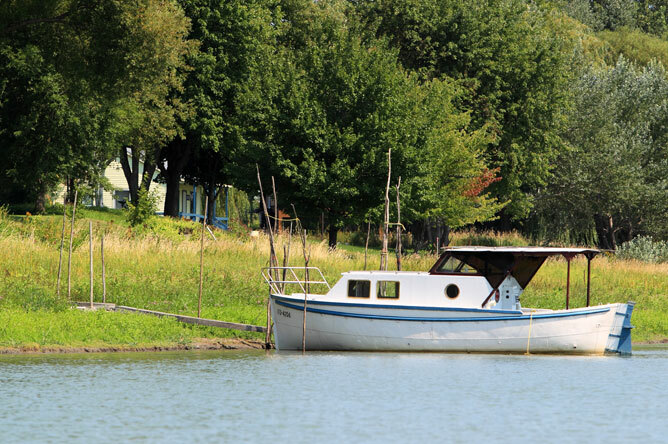 Boaters sometimes drop anchor to relax in the peaceful back channels. 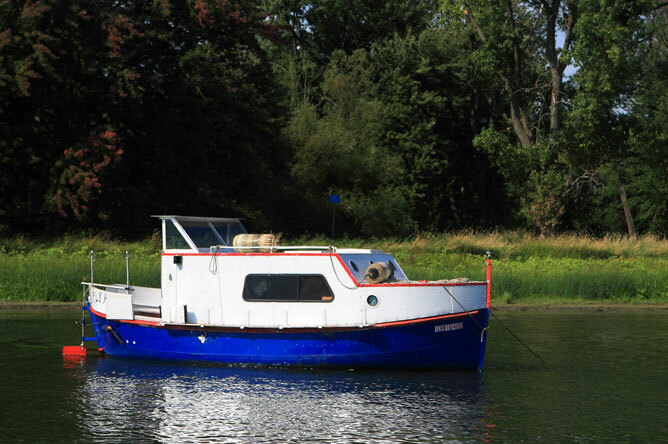 The owner of this picturesque boat lives on Île d'Embarras, and he knows the archipelago very well. 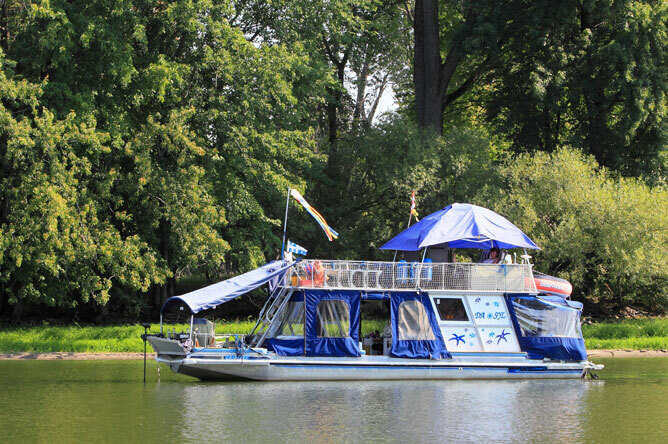 Some people feel more at home on a comfortable houseboat. It is not unusual to see several anchored boats roped together. 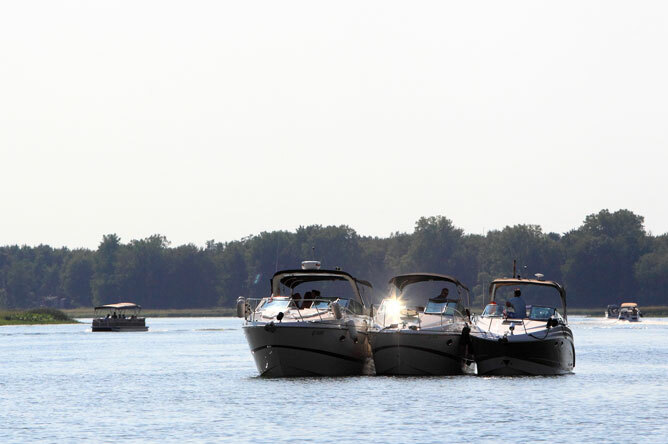 This practice helps make boating a fun activity to share with family and friends. 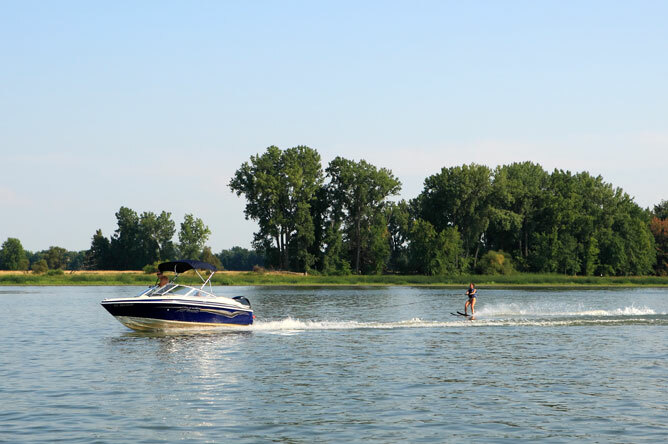 Many people visit the St. Lawrence to practise a variety of sports and activities, such as water skiing. 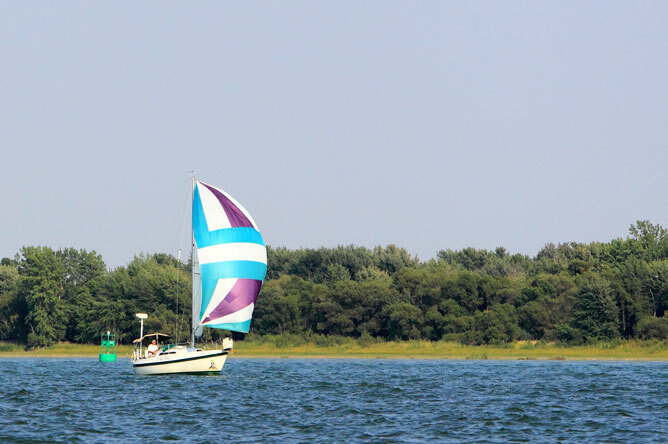 All kinds of boats sail the archipelago, from silent sailboats to boats with loud motors. 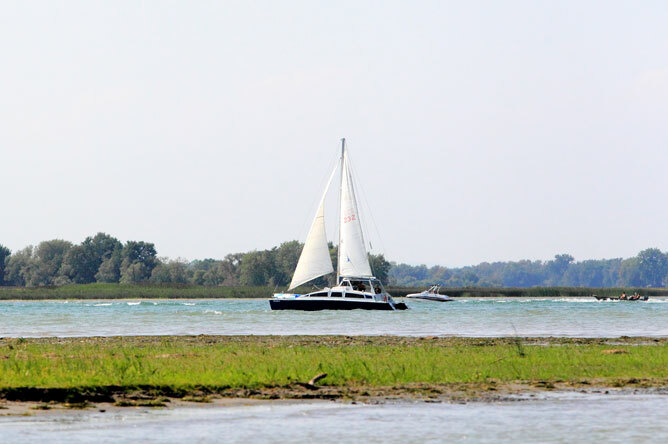 Sailboats generally stay on the open river, where the wind is stronger. 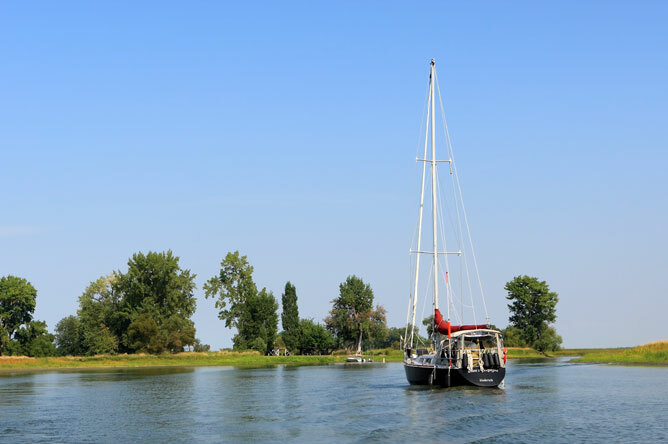 This view of a channel just around the corner from the vast expanse of Lake Saint-Pierre expresses the poetry of the landscape: an anchored sailboat, with islands just above the water and majestic poplars, maples and willows silhouetted against the far horizon. 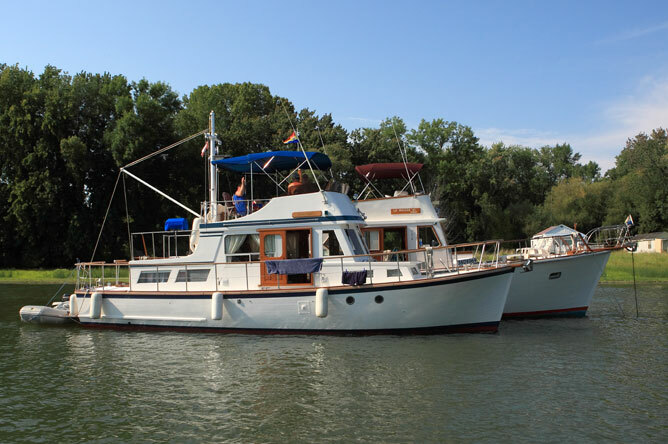 Boaters can take the Chenal du Nord to Berthierville marina, where they can explore a charming park by the shoreline and dine at a restaurant with a patio overlooking the water. 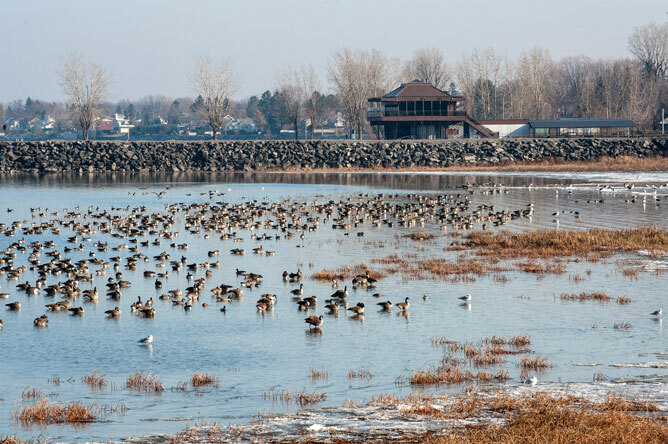 The Saurel marina is a welcoming home base for boaters. 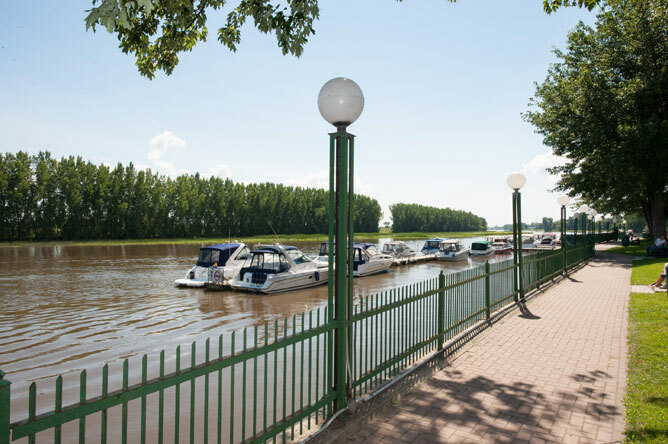 It has two harbours: the Federal Nautical Park in Regard-sur-le-Fleuve park, not far from the Biophare (a museum dedicated to the Lake Saint-Pierre biosphere reserve), and the Sorel Nautical Park, which is to the east near the Auberge de la Rive hotel.